Did you know that there are four interrelated phases to the ASQ®-3 system, and that using the questionnaires is actually the third phase? A lot of forethought is required to help ensure programs run smoothly and efficiently once they get going. Many organizations want to dive right into screening after some basic set-up, but ASQ® authors recommend that users first follow established best practices for the planning process. Below we summarize each step of phase I of the ASQ-3 system: planning the screening/monitoring program. These steps are best practice, but they’re also suggestions. Your program may not need to devote time to all of them, especially if some are already addressed by internal or state policies. It’s worth noting that these steps tend to be geared toward community programs, which comprise the majority of ASQ-3 users. Most programs will still find them helpful, and the ASQ-3 User’s Guide (chapters 8 and 9) does feature tips on varying these steps for different methods and settings—health care offices, for example. Nine planning steps to help you establish a successful screening program. Want a quick summary? Download the infographic: 9 steps to plan a screening and monitoring program. For more information about each phase, see chapters 4 through 7 of the ASQ-3 User’s Guide. 1. Communicate with community partners. Many organizations and agencies in your community may already be involved in screening due to federal mandates. It’s important to meet with agency representatives and stakeholders, as well as physicians and parent representatives to consider what programs are already serving your community, where there might be gaps geographically or culturally, and what types of screening tests are being used. Look for opportunities to share data, combine forces, and reach as many families as possible. Determine as a group whether current efforts are using the most valid and reliable tests. Consider whether all available referral resources are being used or whether those agencies are ready to receive referrals. Families from across the cultural spectrum in your community will be a valuable source of information on how to create a program that is culturally appropriate and respectful. Gather a group of parents with diverse backgrounds to serve as “cultural ambassadors” who can give you feedback on your proposed screening protocols and on the cultural appropriateness of individual questionnaire items. By taking the time to plan for accommodating families with different cultural experiences, you’ll be prepared when accommodations are needed and you’ll help ensure these families stay engaged. 3. Involve health care providers. 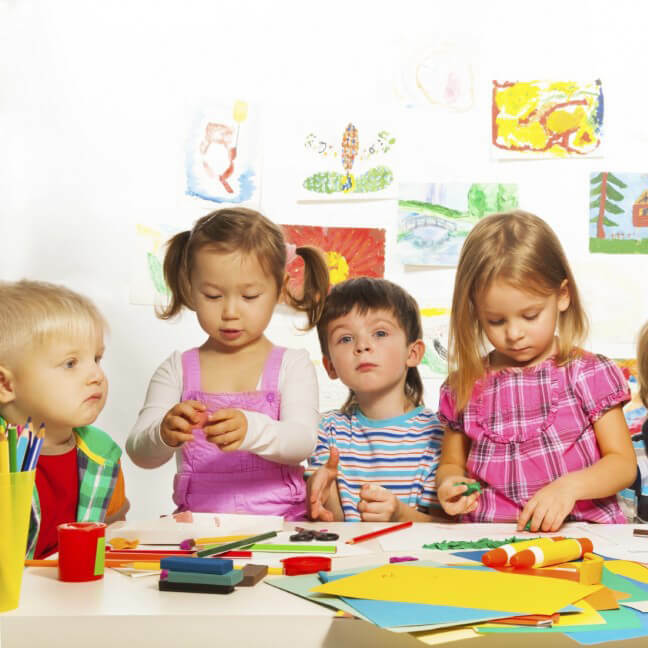 Pediatricians play a critical role in identifying children at risk for developmental delays. The American Academy of Pediatrics (AAP) recommends that doctors screen young children and make referrals as part of preventive care. During the planning phase, make sure your program determines what medically sponsored/operated screening activities are already in place in your community. Figure out how you can support these efforts, not replace them. If necessary, you should develop strategies for communicating screening results to pediatricians. A sample physician results letter can be found within the ASQ-3 User’s Guide. Some programs may choose to target universal screening, but many community programs will need to use the planning phase to prioritize who they monitor. During your meetings with community partners, you may have discovered gaps that can guide you on where to aim your screening initiatives. Or you may decide to target underserved geographical regions, high-risk groups, or specific age ranges that would allow you to maximize efforts. Be sure you understand what populations are already served by screening programs in your community, such as homeless children or Head Start students, so you can use resources effectively. If you have limited resources, consider targeting children with multiple risk factors, since they have a higher likelihood of experiencing developmental delays. 5. Finalize goals and objectives. This is a very important step. When more time is spent ironing out goals and objectives, programs experience greater efficiency and operational effectiveness. Having a focus also helps guide future decisions so you stay on track. Involve major stakeholders like your program staff, community agencies, and parents, and take your time. Several meetings may be required to drill down to a set of goals that reflects your program’s purpose. It’s all well and good to have goals and objectives, but those goals and objectives have to be compatible with your available resources. Once you know what you want to achieve, take a realistic look at your resources. If they are limited, you may need to modify your goals, or the means by which you had planned to accomplish them. ASQ-3 is a parent-completed tool, which can make reaching many families more feasible than with non-parent-completed tools. However, all screening programs must maintain operational and family support resources to assist parents and caregivers when concerns arise. 7. Determine administration methods and settings. ASQ-3 is flexible, so you should decide how and where you want questionnaires to be completed, and how much parent/caregiver support needs to be provided. Four factors will influence these decisions, and you may need to consider implementing multiple approaches depending on your goals. What resources are available, including financial, space, personnel and technology? What parent characteristics, such as culture or literacy levels, need to be considered? Tables 4.2 and 4.3 in the ASQ-3 User’s Guide detail recommended procedures and considerations for different questionnaire completion methods and settings. 8. Determine depth and breadth of program. Your goals, resources, and best practice recommendations from the field will influence how comprehensive your screening program will be. You’ll need to consider the frequency of screening, breadth of screening, and type of screening measure. Ideally, children are screened at regular intervals between age 2 months and 5 ½ years and screening addresses the major areas of development: motor, communication, cognitive, personal-social. Experts recommend annual social-emotional screening as well. Formal screening measures with a standardized developmental screening tool are recommended for both low-risk and high-risk children, with greater frequency being more important for higher risk children or those with suspected developmental delays. The AAP also recommends an informal screening measure, which includes asking parents about concerns and identifying risk and protective factors. The last step in the planning phase for ASQ-3 is to settle on the criteria your program will use to determine which children should be referred for further assessment. ASQ-3 has established statistically-driven cutoff scores that you can compare with children’s questionnaire scores. It’s a straightforward way to identify children who need referrals, continued monitoring, or follow-up—or those who are developing typically. For more on each step of the planning phase, see chapter 4 in the ASQ-3 User’s Guide. For a summary of the steps detailed in this article, download the infographic: 9 steps to plan a screening and monitoring program.